Tube Driver BLUE produces the best Vacuum Tube audio with a completely open-ended design (ZERO global degenerative negative feedback). It also eliminates one of the most problematic components that plagues virtually all other vacuum tube amplifier designs: the Output Transformer. Coupled with novel output load mirroring circuitry, hand-selected twin triode tubes operate in a safe, near plate-saturated mode continuously. Therefore, Tube Drive BLUE creates the ideal electrical environment for classic vacuum tube characteristics. Using previously unknown proprietary techniques, BK Butler has applied the essence of the world's first vacuum tube into Tube Driver BLUE circuitry. In 1881-82, William J. Hammer, a young engineer employed by Thomas A. Edison, was in charge of testing early light globes. He noted a faint blue glow around the positive pole in a vacuum bulb and a blackening of the wire and the bulb at the negative pole. 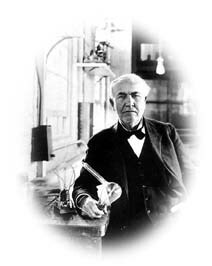 The unknown phenomenon was first called "Hammer's Phantom Shadow", but when Edison patented the light bulb in 1883, it became known as the "Edison Effect". This discovery of vacuum tube thermionics is the basis of modern electron tube theory; the foundation for the entire electronics industry! Tube Driver BLUE utilizes the Edison Effect to automatically enhance biasing of the audiophile-quality Sanken bi-polar power output devices. This unique, Patented design reduces Total Harmonic Distortion (THD) to typically LESS than 0.10%. This achievement is almost unheard of in an open-ended, ZERO negative global feedback hi-fi amplifier. Conventional open-ended vacuum tube amplifiers often exhibit real world THD of 2% or greater and are generally limited to very low output power. Tube Driver BLUE succeeds in operating at 1/10th the THD with more than 10 times the power while maintaining real vacuum tube tonality! Hear the original essence of vacuum tubes with Tube Driver BLUE! Exactly what is the "Tube" Sound? 1) "Our extensive checking indicated...a definite audible difference in the sound quality...where there is a mechanical-electrical interface." "...power amplifiers driving speakers..."
2) "The basic cause of the difference in tube and transistor sound is the weighting of harmonic distortion components in the amplifier's overload region." By directly interfacing the mechanical-electrical speaker load with twin triode vacuum tube drivers, Tube Driver BLUE produces the response and tonality of 'all tube' power amplifiers. Utilizing the pure thermionic Edison Effect, the Tube Driver BLUE circuit design safely biases the twin triode Tube Drivers to a consistent, near-saturated or overload condition. The results are greatly expanded dynamics, punch and presence from naturally produced vacuum tube harmonics. Attention International Customers: Butler Audio Inc is not responsible for Customs charges, delays due to general delivery and/or Customs clearance issues. Prices are FOB Denver, Colorado, USA. blue tube illumination, appearance and method are trademarks of BK Butler. Use of these trademarks is by permission only and is strictly enforced. © 1995-2019 Butler Audio Inc. All rights reserved.